Pardon me writing here after a long time. But as most of you know photography is my passion and I only write to share something which is close to me or an experience which has touched me. 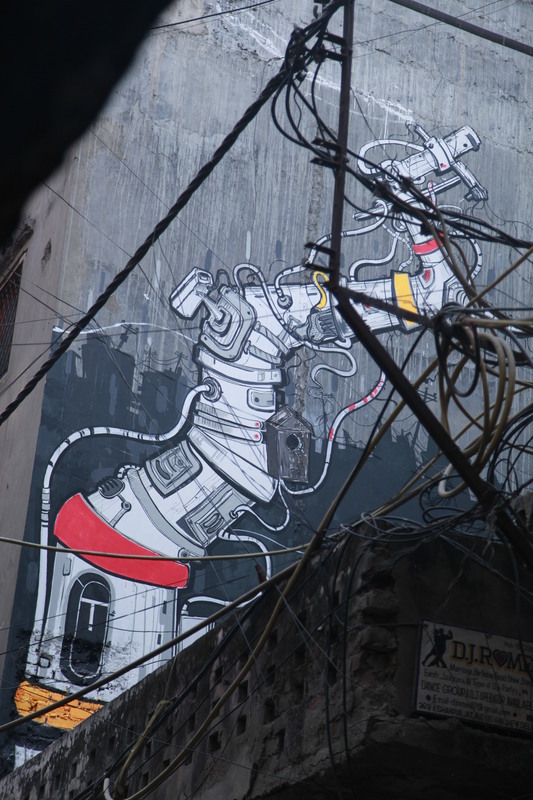 This weekend I went to Shahpur Jat to experience a walk led by three young architects who blog,study,walk and are interested in not just buildings themselves but the interaction between the people and buildings. 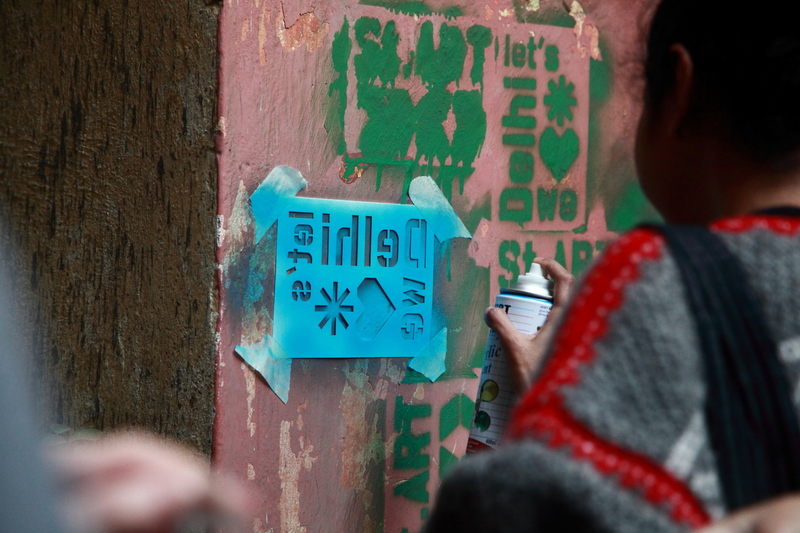 The walk is a part of the Delhi Street Festival which aims at making more and more people understand what street art is. 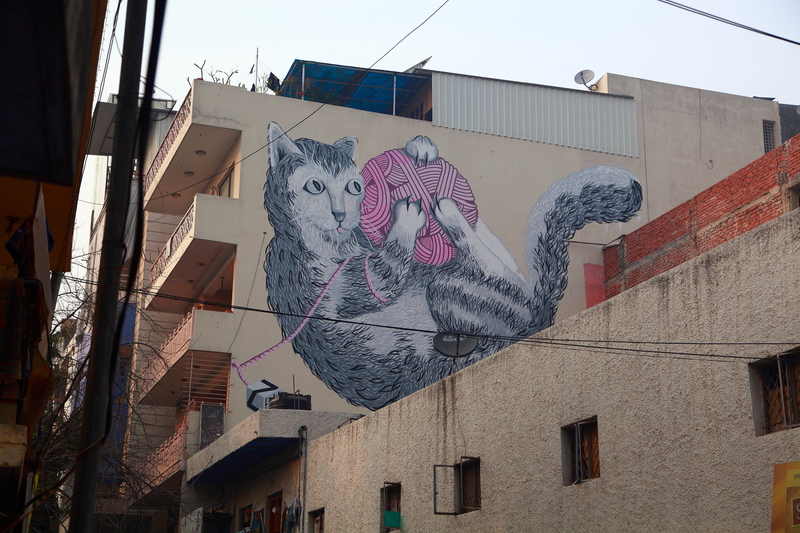 I have always associated Graffiti as being something ugly, something which destroys the visual appeal of a city. But in a sprawling semi-urban village like Shahpurjat I began to understand how art could make a difference and how the local villagers had now something to be proud about. Walking through the narrow lanes of Shahpurjat, towards the back side of the more popular design lanes, gave me a feeling of a place still untouched by time. 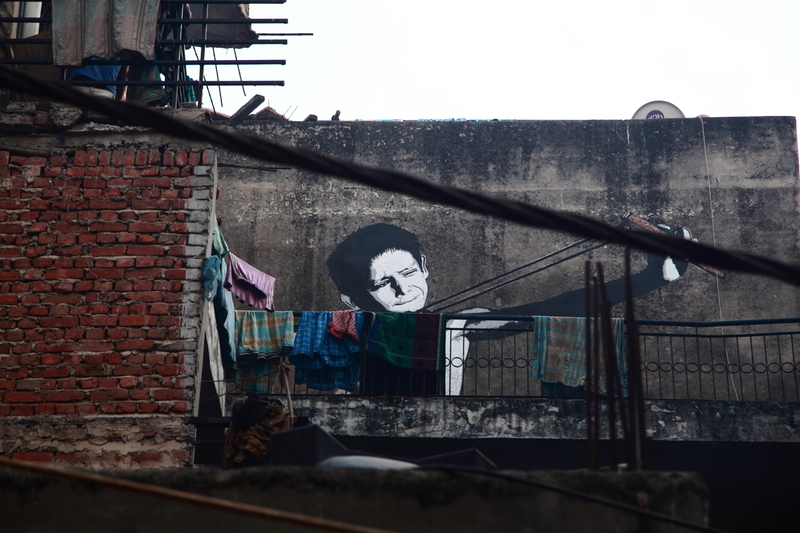 Although it is an area inhabited mostly by the Jat community, I could also catch a few phrases of Bengali, which as our guides explained was also one of the communities which had made this urban area their home. The facades of most of the buildings here are gloomy with walls almost glued against one another and narrow buildings sticking their necks up, like a young tree trying to break free of the canopy to get some sunlight. Looking at the art installations, you get a sense of the different backgrounds that the artist come from and what inspired them. 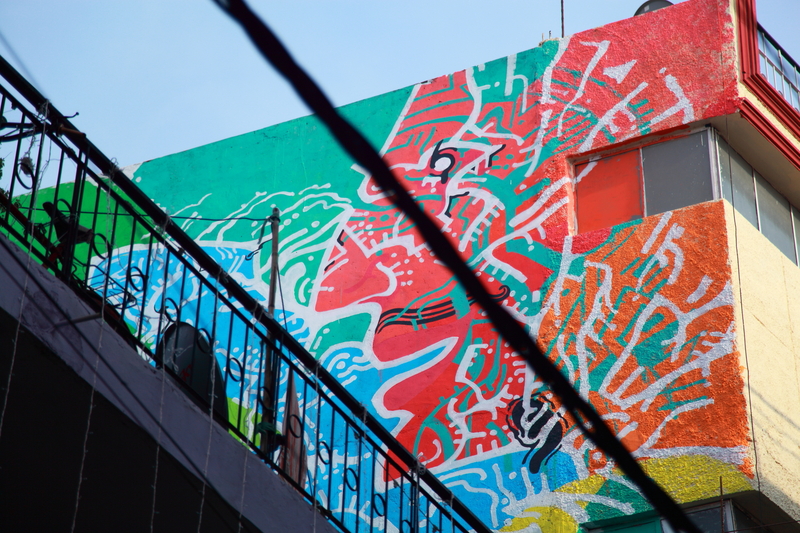 Harshvardhan’s work inkbrushnme at the corner building of two forking roads depicting the Sun God is inspired by Amar Chitra Katha. 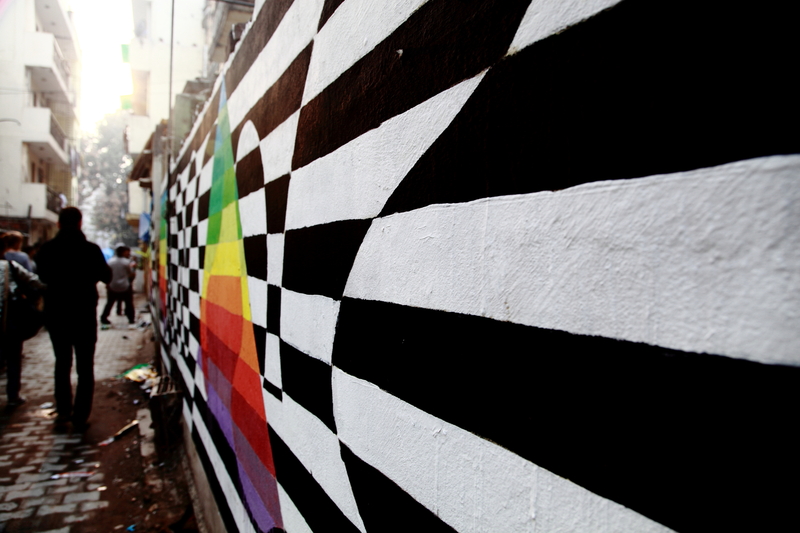 It depicts the seven colours of the spectrum juxtapose with a map of Delhi . Yantr’s bio mechanics graffiti and style could be related to the fact that his father was a mechanic. I loved Alias’s works, brilliantly realistic yet hidden.